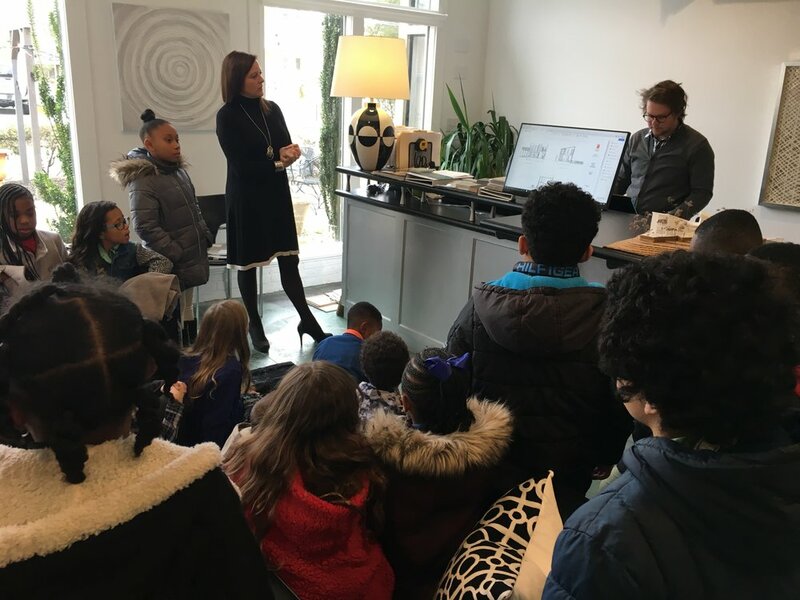 Team Kipp recently welcomed two groups of very special guests to the Studio: 3rd graders from Lancaster Primary School and 8th graders from Chesapeake Academy. Our 3rd grade guests (all eightyof them!) have been learning about ways to measure, specifically using area and perimeter. What better way to understand the importance of measurements than through examples of buildings and spaces? Architects Randall Kipp and Ivy Stroud explained conceptual drawings, models, renderings, and floor plans and how math, science, and imagination are required to become an architect. Many students expressed an interest in becoming an architect when they grow up. 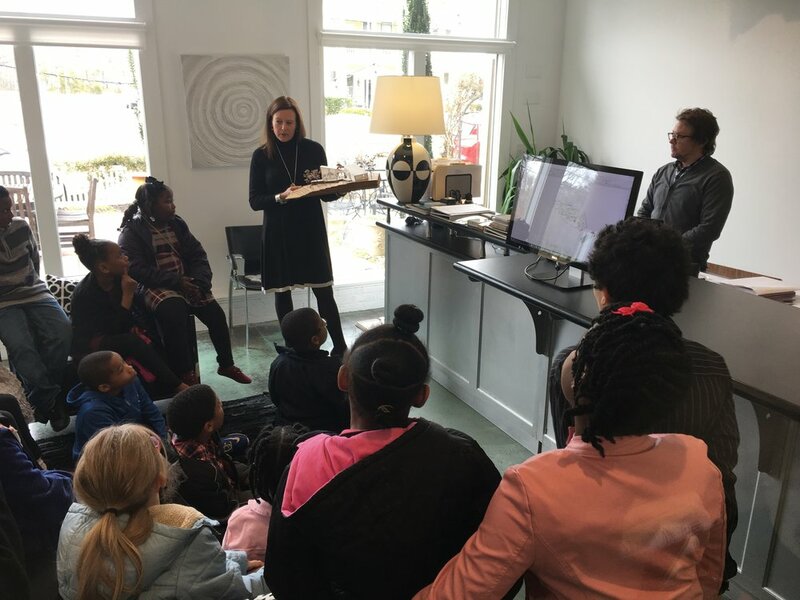 Interior designer Lauren Davenport and architect Trent McBride showed the students models, renderings, and final photography to explain the architectural process from start to finish. They explained how architects and designers use perimeter, area, and other forms of measurement on a daily basis as they design homes and space plan interiors. There are lots of smart kids in our community. Perhaps we'll hire a few in 15 or 20 years! A few days later, we had the privilege of spending time with Chesapeake Academy's Algebra I students. The kids have been working on a house-building project using algebraic skills including scale, ratios, proportions, measurements, compound interest and greater algebraic functions. Each eighth grader, acting as an architect for a second-grade client (how adorable is that? ), developed plans for a "dream house" while staying within allotted budget. Second-grade client requests included things like hot tubs in bedrooms, climbing walls, a room full of chandeliers, and a unicorn-themed palace. The architects-in-training brought their models to our Studio to present their final project. Team Kipp, joined by architect Sarah Stanton and general contractor Joe Heyman, offered professional feedback to the students. We must say, we were very impressed with their creativity and attention to detail! Well done, Ospreys! Check out these photos of our time with our special guests! Not very many people know this, as he is quite modest, but a member of Team Kipp is the mastermind behind the architectural design of Santa’s Workshop. Yes, you read that correctly. 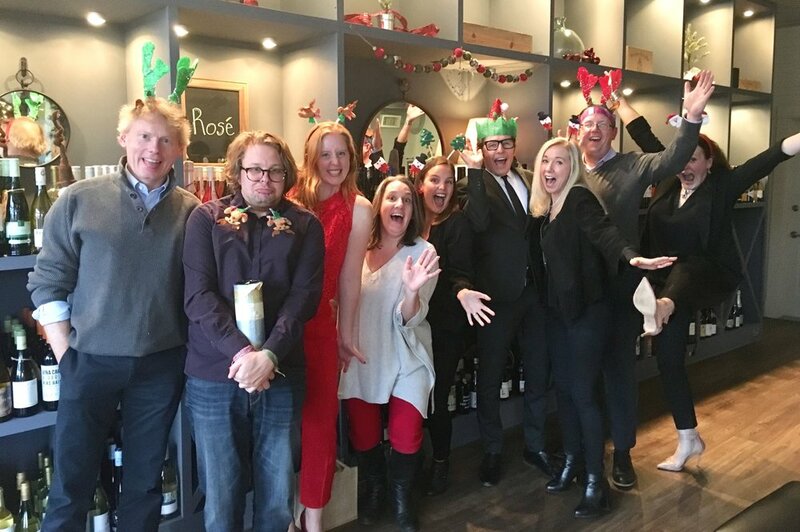 Kipp Architecture’s very own Bradford Bond designed THE one and only Santa’s Workshop. Brad often reminisces about the once in a lifetime experience during cocktail hour at the Kipp Architecture Studio. The rest of the team gathers ‘round to hear the tales straight from Santa’s little helper himself. He shares stories of the many midnight rooftop pick-ups and the magical sleigh rides from Virginia to the North Pole to check the progress of construction. In fact, Brad admits he’s never witnessed such an efficient and productive workshop. Santa’s got things down to a science, but we suppose that’s to be expected after operating for hundreds of years. St. Nick's’s original location in Myra didn’t offer the habitat necessary for his herd of reindeer as would the Arctic. There was also the need for isolation from corporate spying, and with the affordability of the real estate, the North Pole became the ideal location. Since 340 A.D. to the present day the Claus homestead has remained, but they outgrew their old shop. A new one was in need for the current century. Construction, however, was a challenge. The extreme conditions offered few choices for building materials. Brad said, “We found the climate too cold for sugar. It became brittle with little structural integrity. Whereas honey still had enough elasticity against the wind and snow loads and the honeycomb's R-value decreased the heat loss.” An added benefit to the choice in materials is a stress free reindeer herd knowing that the local polar bear population are satisfied licking the perimeter walls. As you scan the floor plans, be sure to check it twice or you’ll miss something special. 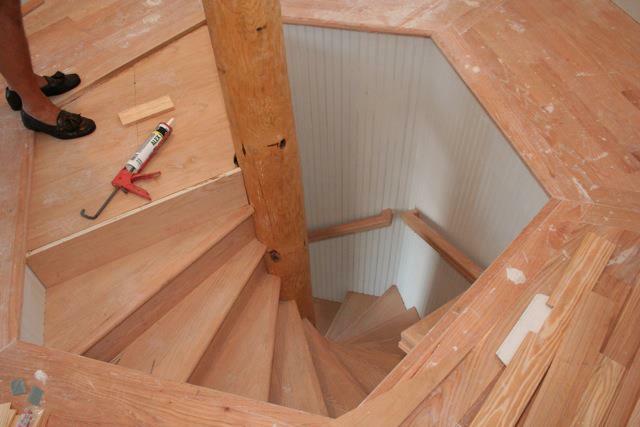 It’s clear that Brad’s attention to detail is part of what landed him this job of a lifetime! Merry Christmas from Team Kipp! Santa’s Helper, Bradford Bond, working with the Elves to finalize the workshop floor plans. Team Kipp celebrating the holidays next door at Vine. The Local Scoop Magazine and the Rappahannock Record recently shared the news that the Boys and Girls Club of the Northern Neck is renovating and expanding! Wonderful things are happening in our community and we are honored to be a part of the excitement! Randall Kipp Architecture is working with the Boys & Girls Club of the Northern Neck to renovate and expand their North Main Street location. Learn more about the project below. One of the exterior renderings by Team Kipp. More renderings below. ﻿Kilmarnock - The Boys & Girls Club of the Northern Neck (BGCNN) recently launched the public phase of a campaign to raise $2.6 million. The “Building Great Futures Capital Campaign” will fund a major renovation and expansion of the BGCNN facility at 517 North Main Street in Kilmarnock. In addition, it will support the on-going operations and strengthen its financial base as the club expands. The board of directors and a special campaign leadership group have been involved in the development of the campaign for the past year and to date have raised over 70% of the total goal from foundations, businesses, churches and individual supporters. The campaign leadership group includes Terri Wesselman and Julien Patterson, as well as Rosemary and Paul Trible as honorary co-chairs. William and Carolyn Hines, Randall R. Greene and Donna Anderson manage the day to day planning and fundraising activities of the campaign. The plans for the expansion and renovation of the facility have been developed by the award-winning firm Randall Kipp Architecture Inc. of Irvington. “The Boys & Girls Club of the Northern Neck was officially chartered in the summer of 2008. From those early days the club has grown to over 400 members, primarily from Lancaster and Northumberland counties, who in many cases attend several times a week,” said chief executive officer Phillip Mumford. “The consistency of youth attendance is a powerful factor in the club’s success in preparing members for success beyond high school. “The club serves age 6-18, with age-specific programs designed to help improve grades, promote healthy lifestyles and prepare them for a great start in life,” he added. To donate to the campaign, or tour the facility, visit bgcnn.com or call (804) 435-9696 from 9 a.m.-5 p.m. Donations of any size are welcome. Once again, Randall Kipp Architecture has been named Best Architect in the annual survey conducted by Virginia Living Magazine every spring. What's unique about this honor is that all submissions are write-in's. We sincerely thank each and every one of you who submitted Randall Kipp Architecture! We're proud to be your #1! The state is divided into five regions - Eastern, Northern, Central, Shenandoah Valley, and Southwest. 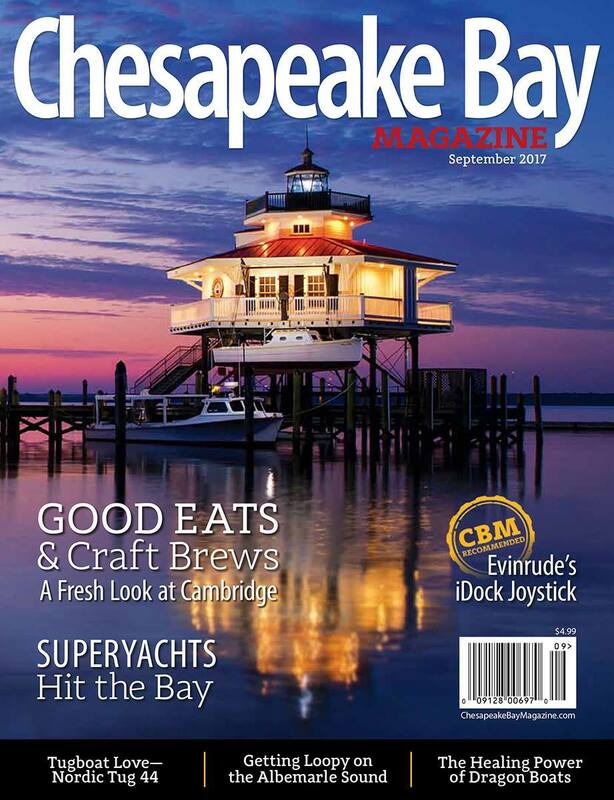 We fall into the Eastern region which means our competition ranges from the Northern Neck to Hampton Roads and the Eastern Shore. Randall J. Kipp recently accepted an Honor Award for Excellence in Architecture and Design from the Richmond Chapter of the American Institute of Architects. Kipp’s work was deemed by the Chapter Honor Committee to have achieved excellence in architecture and design. The ceremony was held at the University of Richmond Student Activities Complex on April 12, 2018. Kipp accepted the award accompanied by Keith Meberg, Lead Architectural Designer, Lauren Davenport, Lead Interior Designer, and Joe Heyman of The Allen Group, General Contractor. Randall Kipp, whose studio is located in Irvington, is a residential and commercial architect. 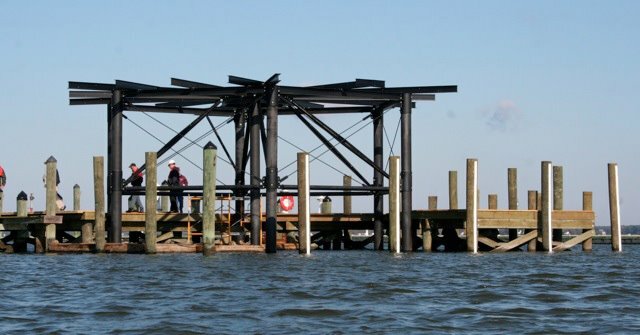 View images from the Tidewater project below and read our shout-out from the Rappahannock Record here.